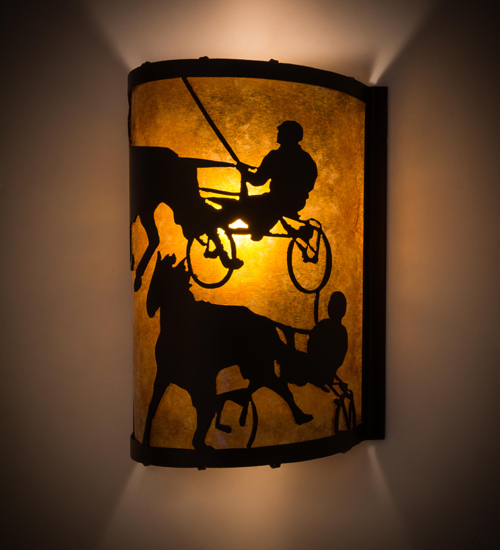 Description: Competing harness racers come around the backturn of this charming, yet exciting wall sconce design. The? luminaire features stunning Amber Mica complemented with decorative accents, frame and hardware in a Textured Black finish. Custom options include special sizes, finishes, colors and dimmable energy efficient lamping such as LED. The fixture is UL and cUL listed for damp and dry locations.